Event management tools for your non-profit or association. 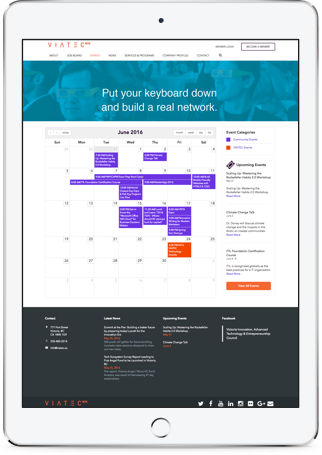 Create, manage, and track powerful events. Sell tickets online and send automated event notifications and reminder emails to attendees with just a couple clicks. Stop chasing your members for payments. Easily link SilkStart with your payment gateway or track offline payments through SilkStart’s invoice tools. Track attendee registration in real-time. Easily view and download a file that shows who’s coming, who’s paid, and who still owes you money. Generate interest in your event with promotional codes, or discounts based on membership plans. Showcase your events with a variety of views. 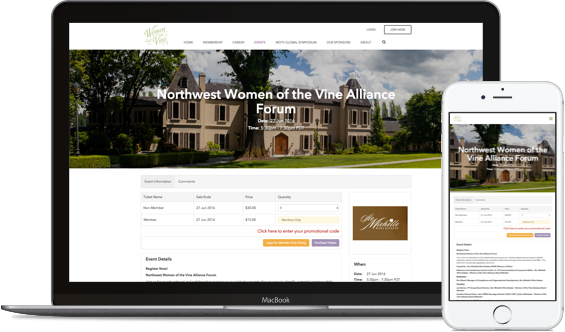 Whether you choose to display your events in a list or calendar, we make it easy for your members to find and register for your events. View and manage attendees. Track members' attendance. Offer discounts based on plan or coupon codes. Already have a great website? 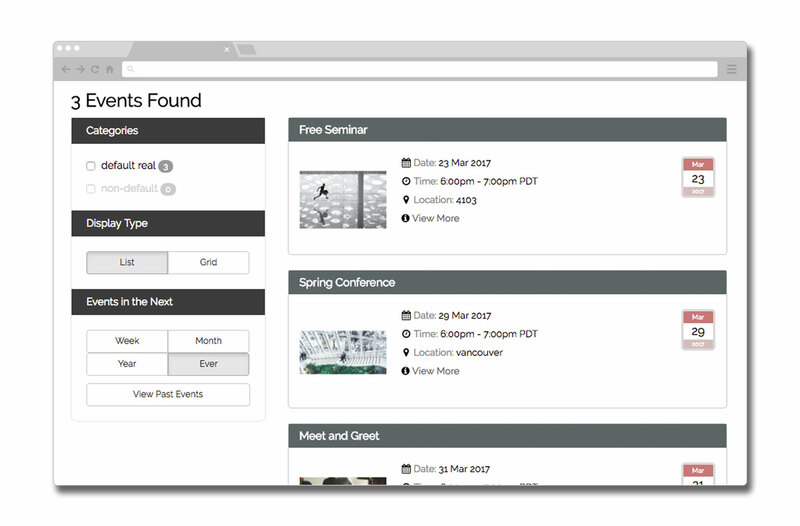 Integrate SilkStart’s event calendar into your existing site by matching your current look and feel. Register and purchase tickets from any device thanks to SilkStart’s fully responsive, mobile friendly application. Users can easily register and pay on any device. Quick checkout for guests and members alike means you'll sell more tickets.